The Ellwood Summer Festival will be held Aug. 6 in DeKalb. 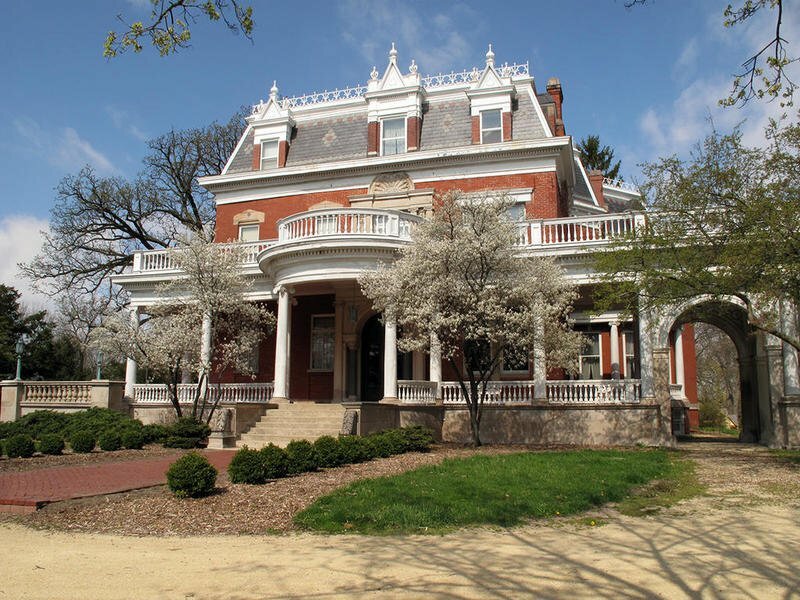 Families are invited to the historic Ellwood House Museum campus from 10 a.m. to 4 p.m. Aug. 6 to enjoy a fun-filled day of art, music, history and gardens at the Ellwood Summer Festival. The majority of outdoor activities will take place on the grounds of the Ellwood-Nehring House, the Tudor-style home at the south end of the museum property near the intersection of First Street and Augusta Avenue. Fifteen artists will exhibit and sell their work in a variety of media including prints, sculpture, pottery, photography, henna and jewelry. Kids can enjoy a number of free programs throughout the day, including hands-on art activities presented by the Kishwaukee Valley Art League from 10 a.m. to 1 p.m. Volunteers from Schnucks grocery store will be on-site from 1 to 2:30 p.m. to help kids hand-churn their own ice cream. First-floor historic house tours will run every 45 minutes from 11 a.m. until 2:45 p.m. Tickets cost $8 for adults and $3 for youth and include a guided first-floor tour of the Ellwood Mansion and a self-guided first-floor tour of the Ellwood-Nehring House. All tours start inside the Visitor Center. In the Visitor Center, The DeKalb Area Garden Club will present an exhibit titled “Gardening Feeds You, Body and Soul.” Members will present garden displays and offer a free craft activity for children. A limited number of plant giveaways will be available on a first-come, first-served basis. Artwork by KVAL members also will be on display in the Visitor Center, and several KVAL artists will be painting in the gardens. A raffle table in the lobby of the Visitor Center will feature items including art work and live plants. Raffle tickets cost $3 for one or $5 for two. At 2:30 p.m., the DeKalb Municipal Band will present its annual Ellwood House concert. The concert will be located on the lawn near the 1891 Little House and feature vocalist Marybeth Kurnat. Feel free to bring lawn chairs or blankets to enjoy the concert. Food will be for sold by Boy Scout Troop 33 from 11 a.m. to 4 p.m.
Onsite parking at the Ellwood House Museum is limited. Visitors are asked to use legal street parking near the museum and public parking lots. Parking also will be available in the lot at First United Congregational Church, 615 N. First Street. Follow the limestone path through the woods to the Ellwood House or walk along the sidewalk on First Street. The Ellwood House is located at 509 N. First St. in DeKalb. For more information, visit www.ellwoodhouse.org or call 815-756-4609.